As a bride, you know the wedding dress is one of the most important components of your big day. That’s why you should come to Adore Bridal, the best bridal store Peoria IL brides trust. We can outfit your whole look, as well as that of your whole party. That’s because we have a diverse selection of brand name designer dresses in every style, length and color, as well as bridesmaid dresses for your friends and tuxedos for the groom. Since 2011, we have been the go-to choice for wedding gowns and accessories for brides throughout Central and Northwest Illinois. We connect you with a personalized stylist who can help you find the dress of your dreams. Our bridal gowns start at $1000, backed by the best designer names, private labels exclusive to Adore and designs straight off the runway. Brides of all ages will love visiting Adore Bridal, conveniently located in Morton, just 15 minutes from Peoria. You can trust us to outfit your entire wedding party, and it all starts with one visit. Come browse our dresses in a large variety of price points to meet any budget, helped along by your very own personalized stylist. Your transformation awaits! You will love our selection, whether you’re looking for traditional styles in white or non-traditional styles with lace and floral dresses in a variety of colors. Before you even show up for your scheduled appointment, your personal stylist will have some dresses ready for you to try on when you walk in. From jewelry and shoes to veils and head pieces, your stylist can also outfit you with all the accessories needed to pull the whole look together. 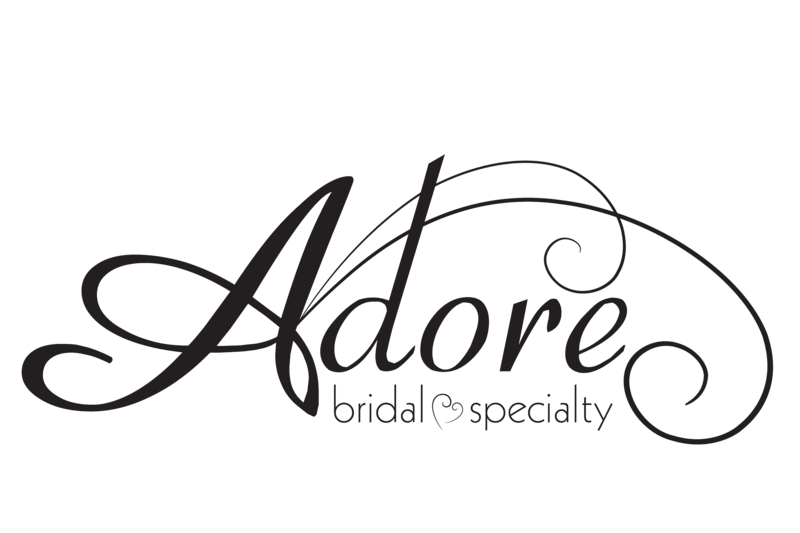 Adore Bridal is hands-down the best bridal store in Peoria IL for all your wedding day needs. Please give us a call at 309-291-0838 to book your appointment or stop in at 20 W. Jefferson St., Unit 12, in Morton, IL, just 15 minutes outside Peoria. You can also book an appointment online.